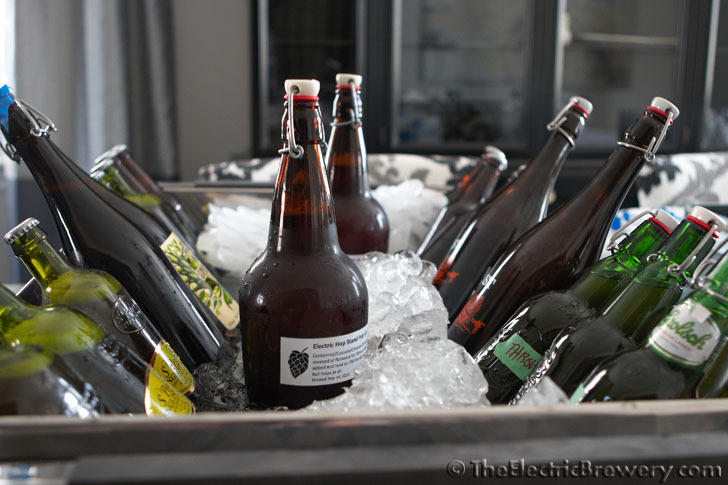 The Electric Hop Stand Pale Ale was brewed as an experiment. The entire process was photographed and documented below. Some say that you get the best hop flavour and aroma (as well as some added bitterness) doing a "hop stand" where you add additional hops at flameout after the boil and then let it sit for 60-90 minutes. So I'd like to try and take this experiment to the extreme: Push the aroma and flavour as far as possible by *only* doing a hop stand. That is, not add any hops during the boil at all, only after and held at specific temperatures. After the boil is complete, hops are added at varying times and then held for up to 60-90 minutes at specific temperatures. 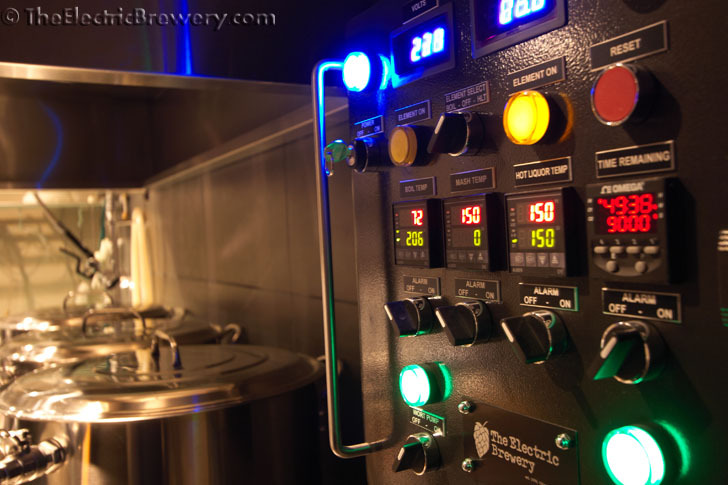 Our control panel with advanced temperature control in the boil kettle allows this (unlike a dial-type boil control). 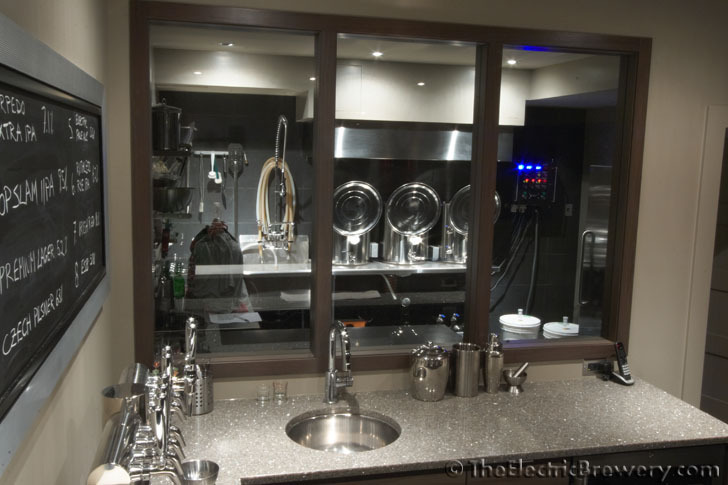 This process is used by new popular beers like The Alchemist's Heady Topper. I think a 1.050-1.055 fairly standard American Pale Ale (APA) with its lower bitterness could pull this off. What I need to make sure of is that we get enough bitterness to not have the beer end up overly sweet. The target is to get an extremely hop flavoured and aromatic APA that doesn't have much bitterness. On the flip side I also need to make sure I don't overdo the bitterness. I don't think you can overdo hop flavour and aroma, but the bitterness on an APA most certainly can be overdone. This is not an IPA or IIPA. The problem I faced is that there is little to no science behind the bitterness imparted by hop stands. Hop stands are somewhat new, the science not entirely understood. Some say that with a hop stand you get 10% hop utilization instead of the usual 30% assumed by most IBU curves. This means we need to add approximately 3 times as many hops at flameout as compared to hops that we'd boil for 60 mins if we want the same bitterness. Others say hop stands behave more like a 20 minute addition. IBU calculations used in software completely break down when the closer you get to flameout as all of the IBU curves use boil time as a factor. 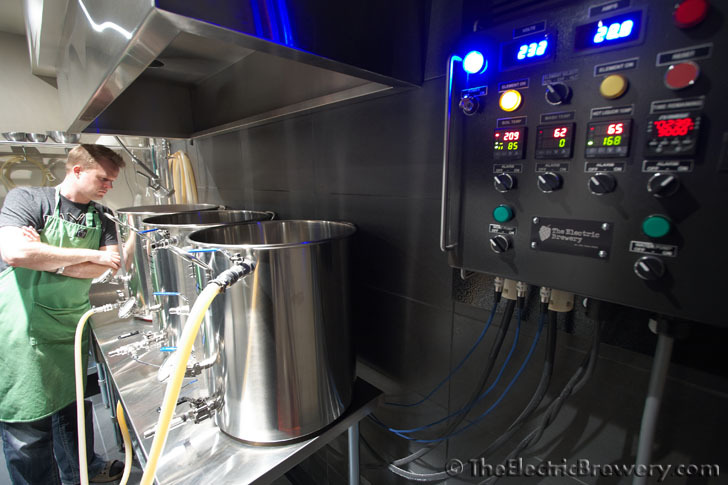 When boil time reaches zero, the IBUs drop to zero as well. According to Beer Tools Pro, my bitterness should be 0 IBU which shows you are accurate software can be when it comes to calculating IBUs of late hop additions. It's said that below 175F bitterness is no longer extracted but there's no hard/fast brick wall numbers to this. 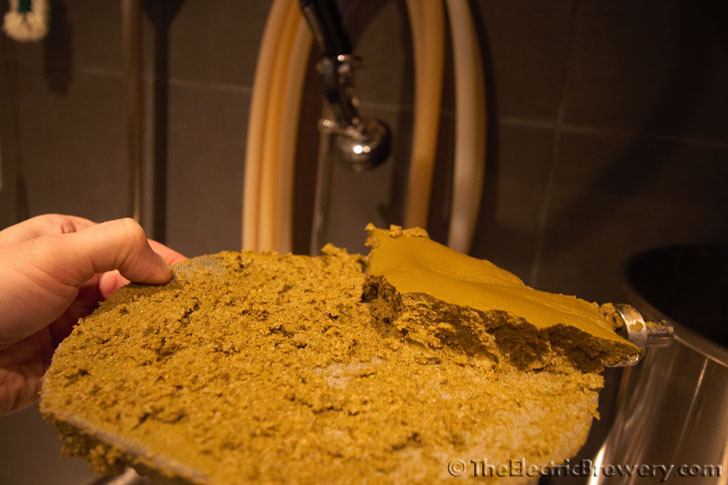 It likely depends on the type of hop, the oils it contains and the contact time. 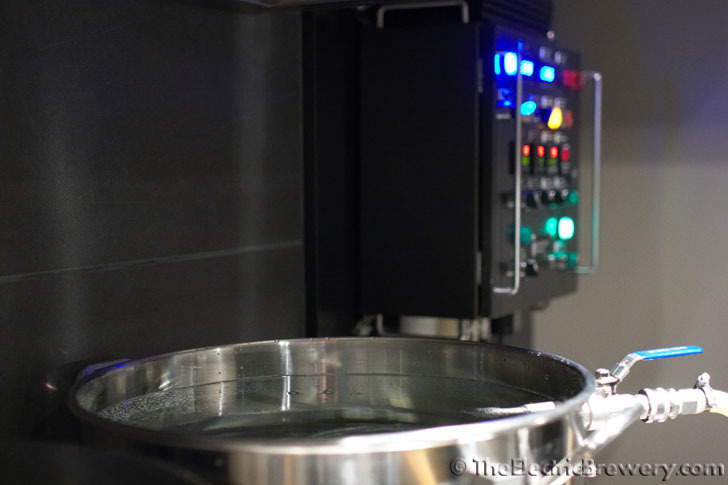 It's also said that different flavours/aromas are extracted as the temperature varies. 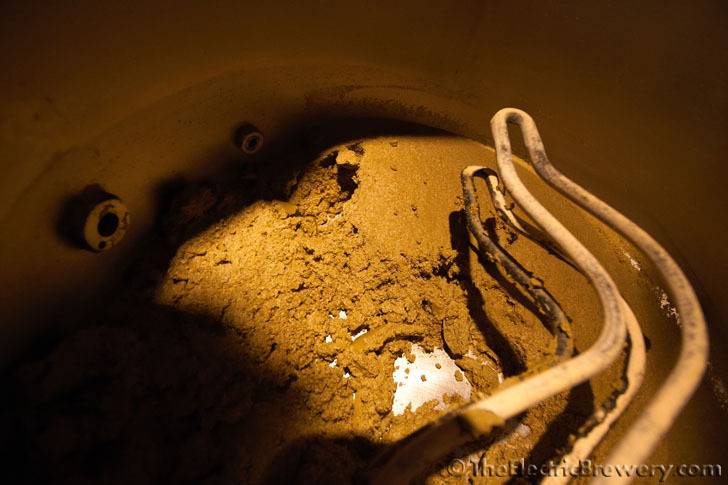 Extraction is slower at room temperature which is why dry hopping requires many days. At 140-200F the contact time can be much shorter and the results likely different. 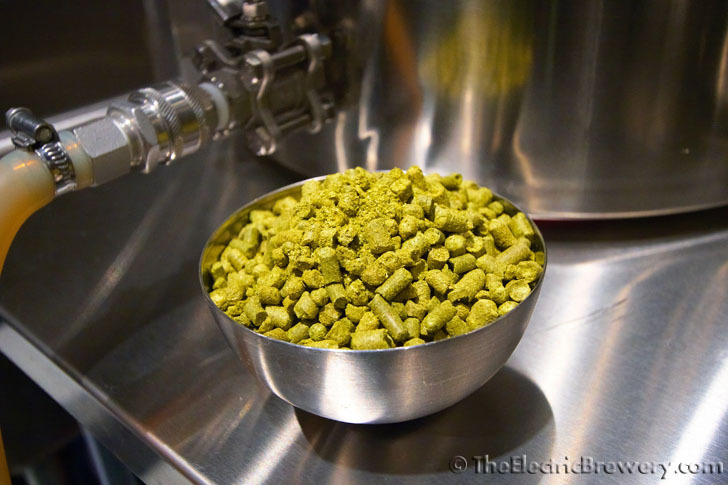 Hops will steep with the lid off and stirred gently on occasion. 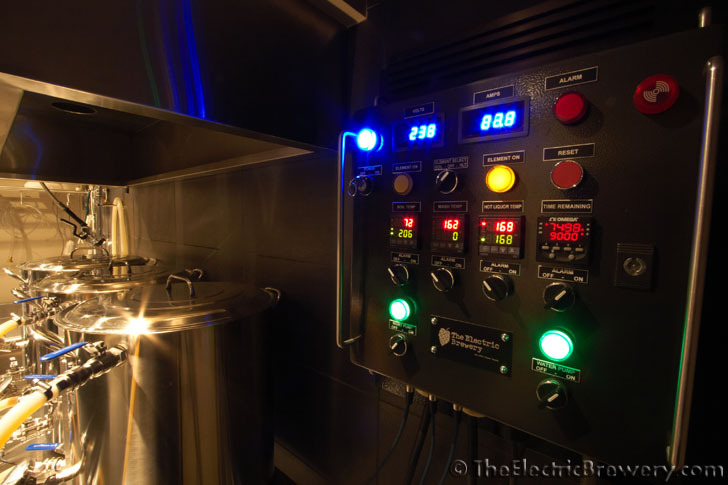 The boil kettle PID will be set to 170F to ensure the temperature never drops below 170F. 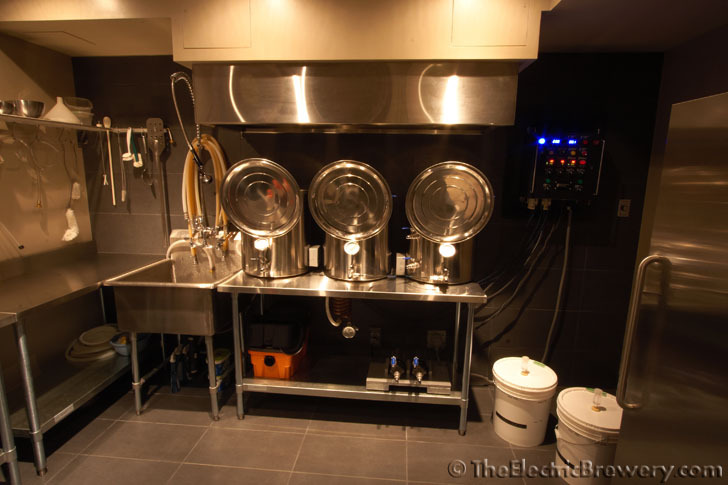 The boil time is increased to 90 mins from 60 based on a study which stated that "A long wort stand is ok if you have a strong vigorous 90 min boil". They're probably worried about driving off the precursors to DMS. Normally I only boil for 90 mins when using pils malt (since it has DMS precursors). 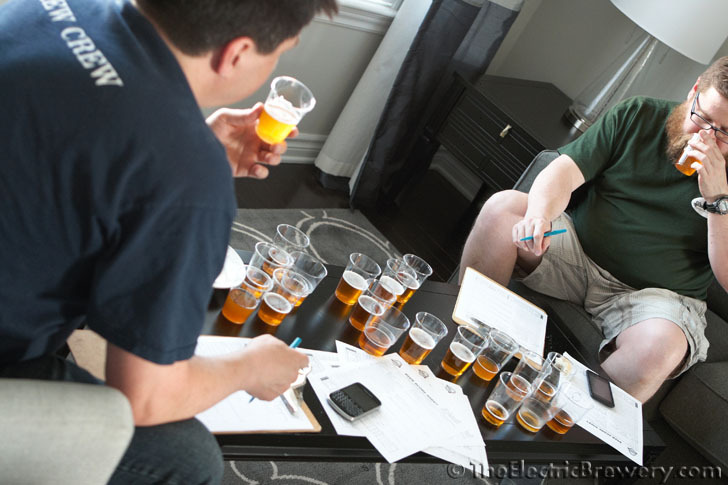 To make things interesting, I decided to brew this beer as part of a local competition that features only APAs. 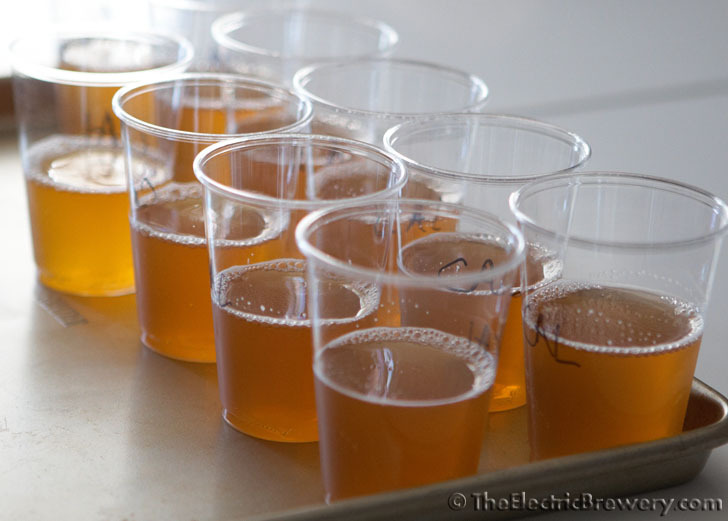 The rules state that you must stick to their same grain bill and yeast but that the hop bill may vary. I figured I'd try something completely different/new than what anyone else would enter in the competition. (Pictures/results found further below). A lot of the thoughts and ideas behind this experiment can be found in this original thread. BYO has an article on Hop Stands in their March-April 2013 issue which was a good read. A presentation by Kristen England on the subject of Hop Stands (and other topics). It was determined that an 80 minute hop stand plus dry hopping results in maximum flavour and aroma. This information is also mentioned on page 201 of the book For the love of Hops. 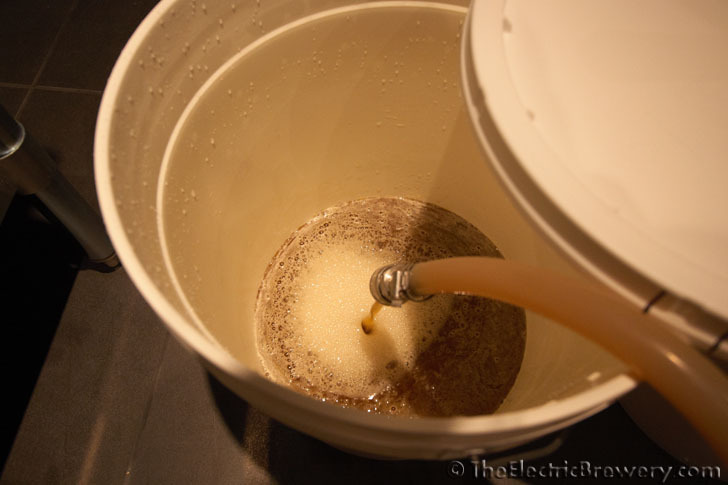 I brewed this beer for the first time on March 14, 2013. Brew up a batch and let me know how you like it! Single infusion mash @ 150F for 90 minutes. 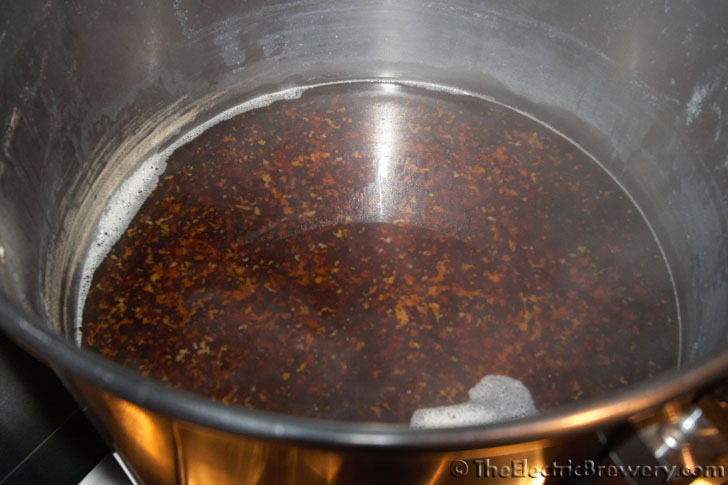 Sparge with 168F water for 1-2 hrs. Adding first hops at flameout (0 mins). Whirlpool by gently stirring every ~10 mins for a total of 30 minutes with the lid off. The temp will slowly drop. Set the boil kettle to 170F to avoid going any lower. 30 minutes after adding the flameout (0 min) hops, add the +30 min hops. Steep for another 50 minutes at 170F for a total of 80 mins, then chill. Aerate well (60 seconds with Fizz-X). Hydrate dry yeast for 30-60 mins until frothy prior to pitching. Ferment at 68F. Dry hop for 5-7 days in secondary. Package as you would normally. I keg and carbonate on the low side (around 2 to 2.2 volumes of C02) to miminize carbonic bite and let the hop/malt flavour come through. That's a lot of hops for 12 gallons of APA! Mashed in and hit 5.25 pH (when measured at mash tempeature)with only the grain and the salts I added, so no need for any extra lactic acid to bring the pH down further. 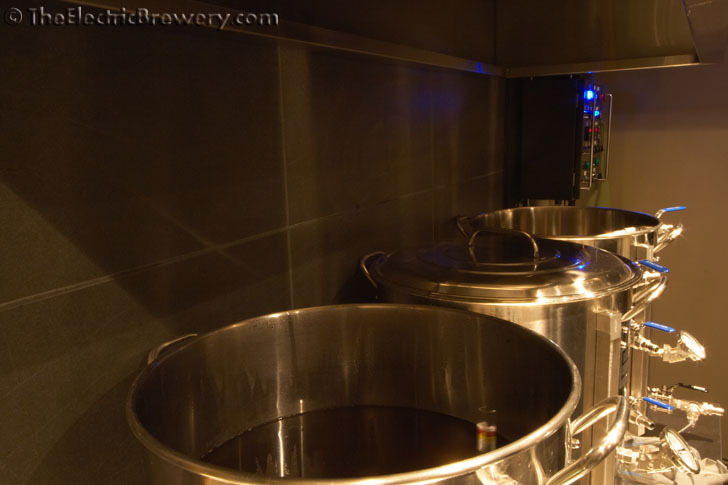 The Hot Liquor Tank is set to 150F mash temp and the Mash/Lauter Tun is following exactly. 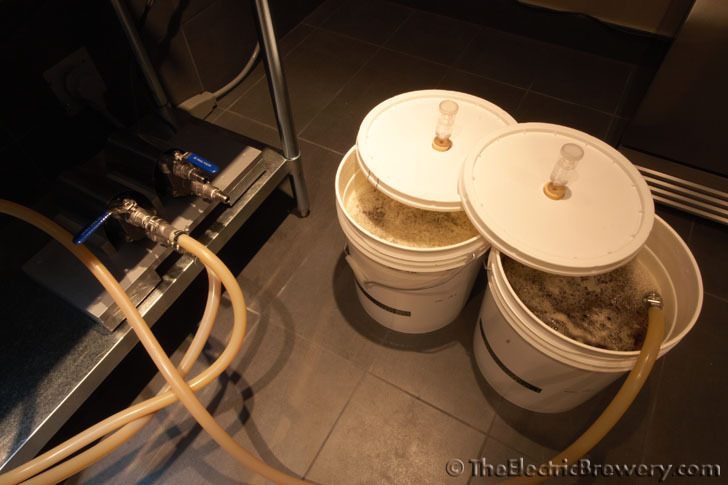 Added 2 ml of 88% lactic acid to the 13.5 gallons of water left in the HLT to get ready for sparging. This bring my city water down to about 5.8 pH. 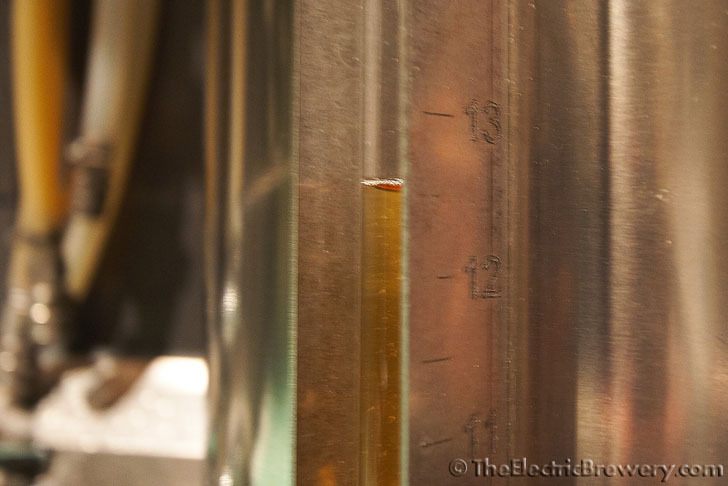 The 90 minute mash is done so the HLT temperature raised from 150F to 168F to perform a mashout. No valves or hoses are touched. 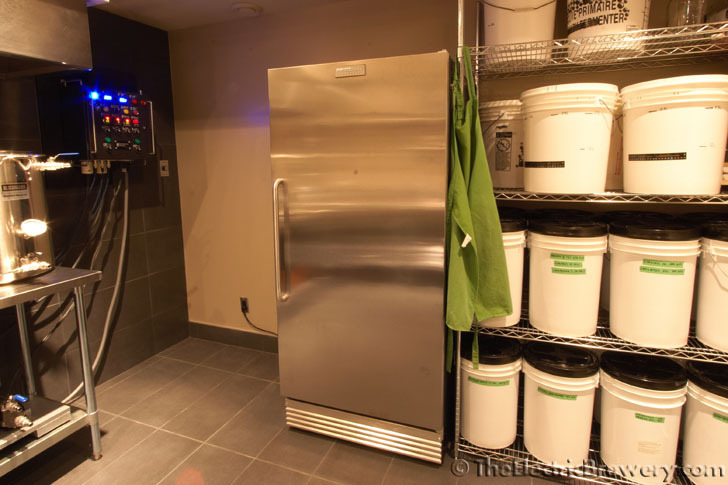 The mash will automatically rise in temperature. The entire mashout-out took approximately 20 minutes and then sparging starts. 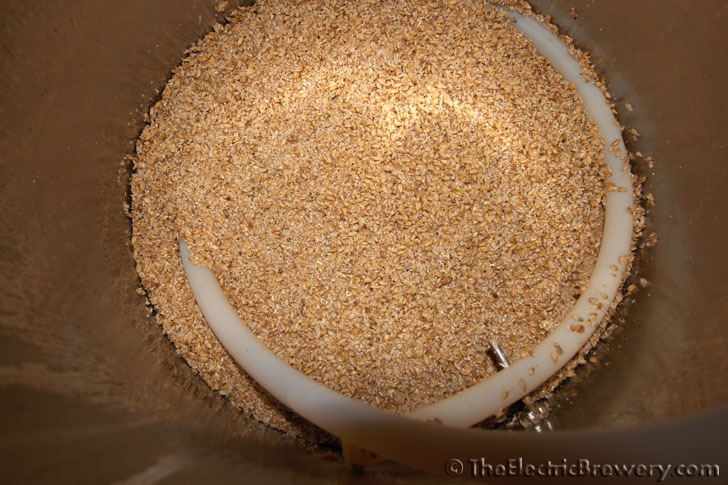 The sweet work is perfectly clear after having been circulated through the mash grain bed (which acts like a filter) for 90 minutes. Sparging finished and I ended up with exactly 14.4 gallons of wort at the expected gravity. I took a break after sparging for dinner and to take the kids for a walk before starting the boil (now heating up). 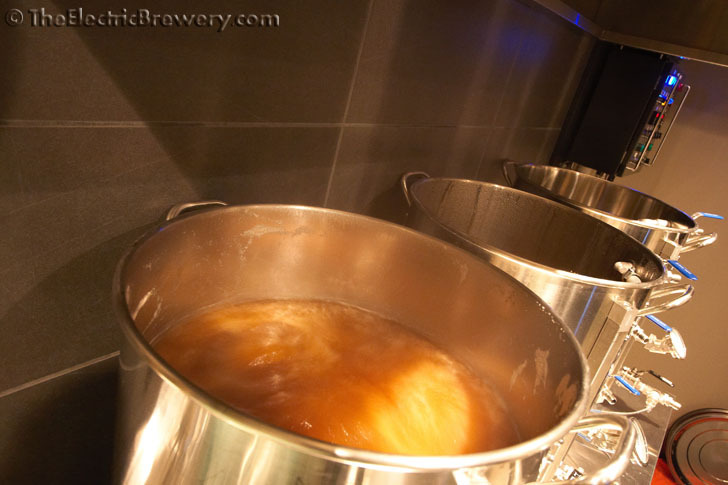 Vigorous rolling boil has now started and will continue for 90 minutes. It's mostly 2-row so a 60 minute boil would normally be fine, but given that the wort will be chilled lightly after boil when hops are added, I'm going to boil longer to minimize SMM/DMS as much as possible. This thick hoppy film quickly dropped. I stirred gently every 10 minutes. These will be steeped for 50 minutes, for a total of 80 minute steep of all hops combined. I've had no experience with cooling times as I've always been a "lid on at flameout and chill ASAP" type of guy because (up until now) this is what I had read was the best thing to do to "lock in" hop flavours and aromas. 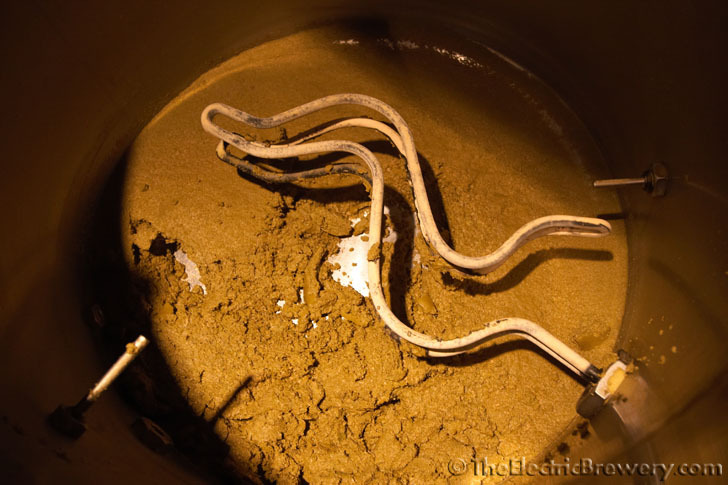 (Similar to what you do with a Hop Back where wort flows through hops and contact time is minimal and the wort is chilled immediately, supposedly locking in the flavour/aroma). 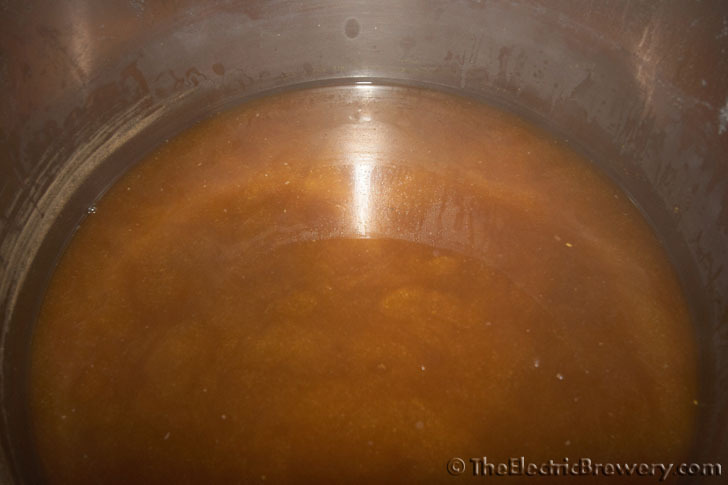 Here's what I observed in 12 gallons of wort (post-boil), ambient indoor temp of 65F. The lid was off at all times, the wort stirred gently every 10 mins. 00:00 - Upon turning off the power the temp dropped from 210F to 208F almost immediately. 01:00 - Added 6 oz of room temp hops. Temp dropped to 206F. 30:00 - Temp at 178F. Added second dose (10 oz) of hops. 30:00 to 80:00 - At this point I set the boil kettle to 170F to avoid going any lower. The temperature settled out at 170F and stayed there for the rest of the hop stand with the boil kettle element firing periodically. 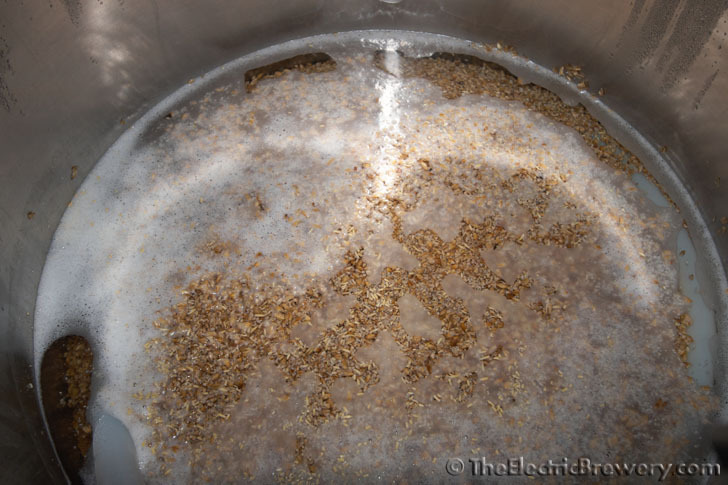 The firing of the element does not create a violent boil or stir, just enough movement to keep the hops moving around without me having to stir as much. Got about 11 gallons total. The massive amount of hop sludge in the boil kettle sucked up a good gallon of wort. Reminds of me of the kind of sludge I get when I brew Pliny the Elder. Similar but different... the sludge this time was not as light. It was more compact. So how does the wort taste? Very hoppy as you would imagine, but not a bitter as when I've made other extremely hoppy beers such as Pliny or HopSlam. The aroma is over the top. Yeast has been pitched (WY1056 in one fermenter, US-05 in the other) so time will tell if the aroma/flavour subsides from fermentation. I tried a taste of this beer when I took a gravity reading (it's been 9-10 days since I pitched and it's down to 1.012, I figure it'll end up around 1.010 which is where I was hoping it would end up). Normally I don't take readings until a good two weeks or so (depends on the beer/fermentation temp/etc.) have passed and I know it's done fermenting and cleaning up, but this one was a special case since I only added hops only after the boil (16 oz). I was worried that it would be overly hoppy but it's actually the opposite: If I was to get it analyzed, the measured IBUs is likely in the 30-40 range at the most. It's really hard to tell. There's bitterness but it's extremely smooth with a ton of hop flavour and aroma. 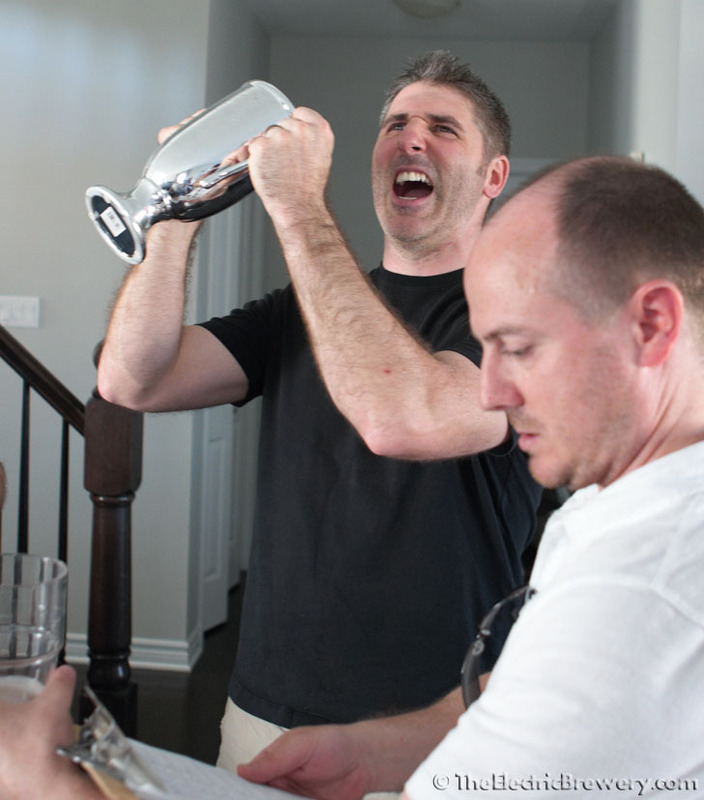 The best way to describe it is it tastes the way a handful of hops smells when you hold them up to your face. Not astringent or bitter, just tons of flavour. It'll be interesting to see how it behaves over time, if it fades at all. The competition this will be entered in is in exactly 6 weeks. By the time I dry hop and keg, it should have a good 4 weeks in the keg carbonating and conditioning. It should be in its prime. Gravity has dropped to 1.010 - 1.011 (@68F). 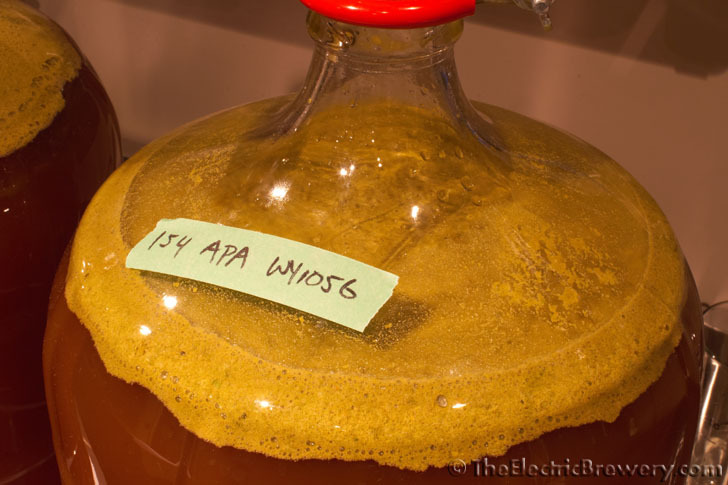 Beer was racked to 5 gallon glass carboys and 2 oz of dry hops added. The hop flavours/aromas have not subsided as far as I can tell. Hopefully it'll stay that way. At nearly 6 % ABV this beer teeters on the edge between an American Pale Ale and an American IPA, so it can take the extra hop flavours/aromas. I kegged it a few days ago and forgot to post about it... mostly because there isn't much to say or show. Not much to see. 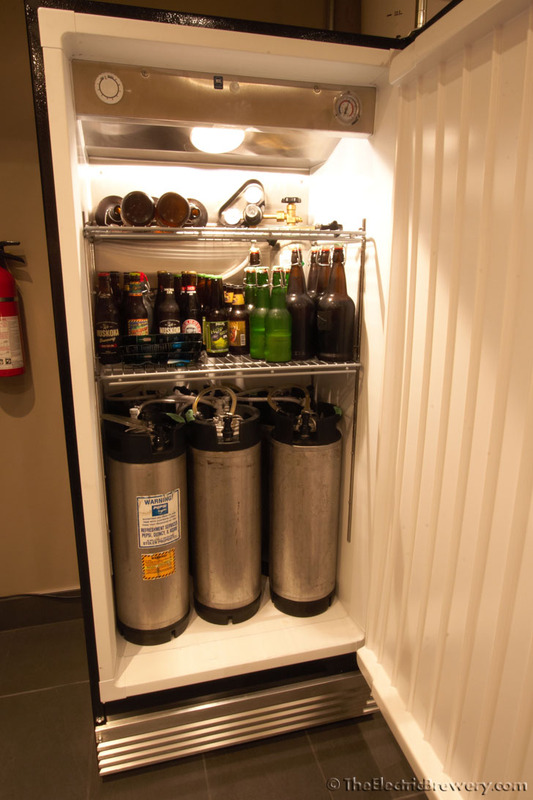 It's kegs in a fridge. I did taste it after 24-36 hours and now that it's cold (but not 100% carbed) it still has a ton of hop flavour, not much aroma from what I can tell and isn't overly bitter. To use what is probably an overused marketing phrase: It tastes like liquid hops. To use a term from wine: The hop flavour seems to have excellent 'length' (the amount of time the flavour stays with you after you swallow it). It reminds me a lot of sorts of American IPAs I like to make (lot of late hop additions) but without the up front bitterness that is usually included as well. So far it's definitely the most flavourful APA I've had. It'll be interesting to see how it fares in 2-4 weeks once it is fully carb'ed up and cleared. 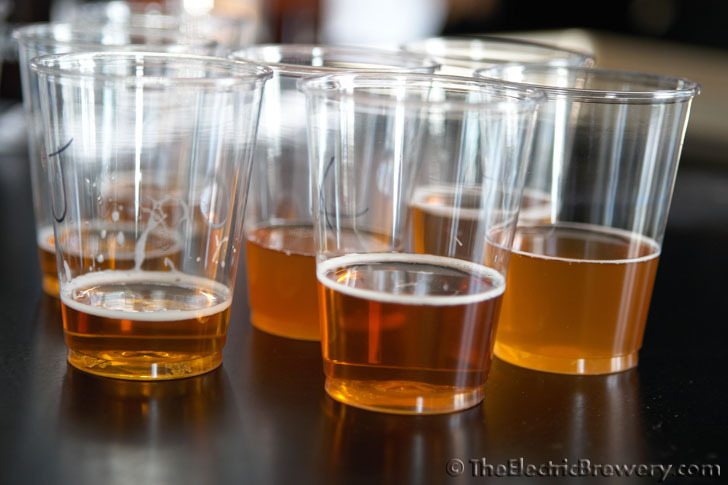 It's going into a local tasting that a bunch of brewers are doing in early May so I'll make sure to collect comments and post back. 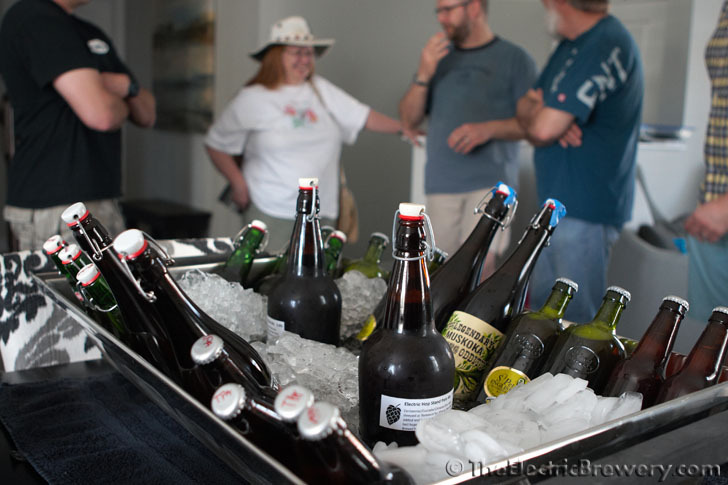 The local APA brewing competition was held for which I originally brewed this recipe. My beer came in 3rd out of 11 entries. 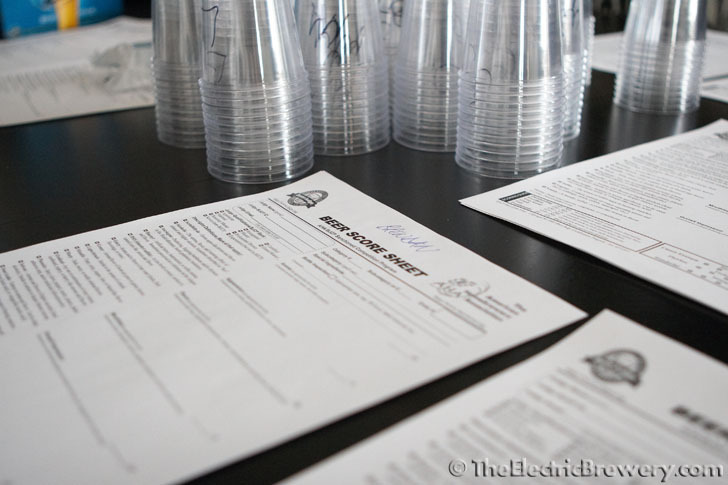 Judging was 50% people's choice from blind sampling (the brewers chose their top 3 and awarded 1, 2, or 3 points) and 50% by two BJCP judges who filled out score sheets. I'm actually surprised it scored that high given that it's a bit 'out there' and I was trying something I've never done before. It was by far the most bitter beer. 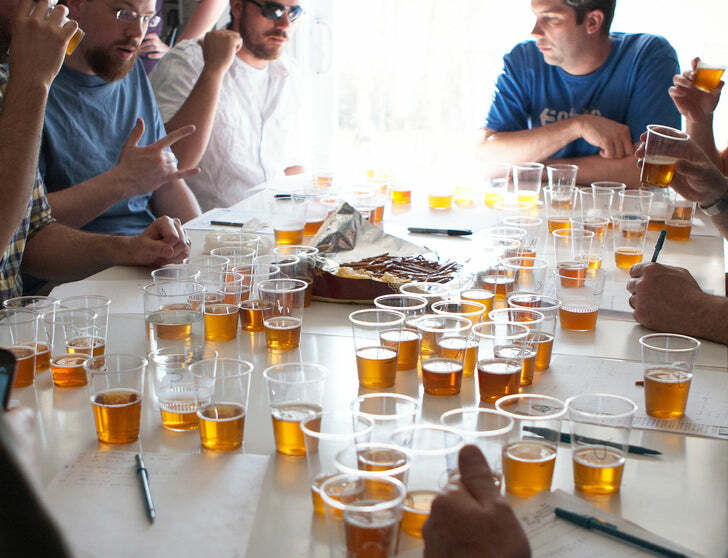 Have multiple people brew either the exact same recipe or a recipe with restrictions so that participants show off their skills and to evaluate the differences between beers with minimal variables. This one is a little more open. Enjoy! 2. Brew the recipe. Only substitutes are those noted. 3. Present your sample at the Throwdown on May 4th. 4. 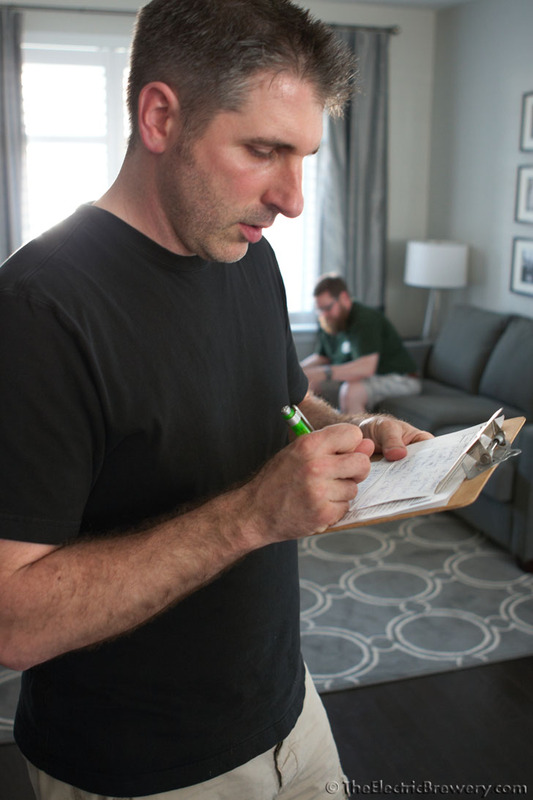 Bring your recipe/brewsheet to the Throwdown for comparative purposes. 5. One official entry per person. 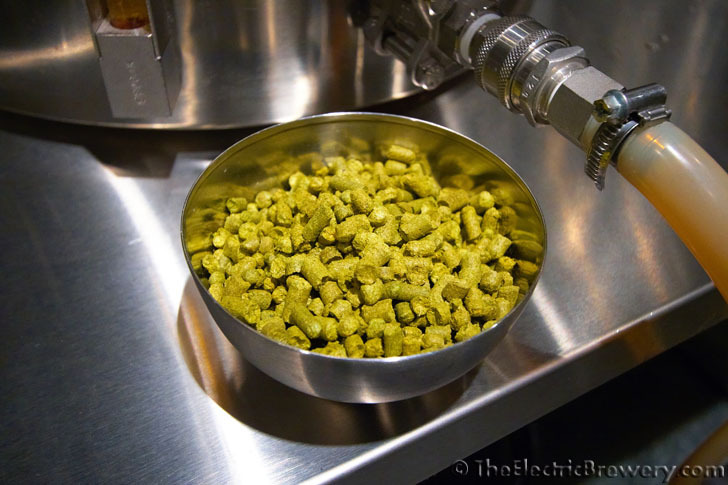 You can use 1 or any combination of ONLY the following hops: Chinook, citra, amarillo, cascade and centennial. 0-2oz using hops listed above. I mashed mine at 150F, used US-05 in one fermenter and WY1056 in another as part of a separate test. As mentioned previously the big 'difference' in my beer was the hop schedule. With only post boil hops it's definitely a bit 'out there'. The stated 40 IBU requirement caused me some concern. I knew I'd have no way of guessing what the results would be like but that also nobody could argue that mine was or wasn't 40 IBU. 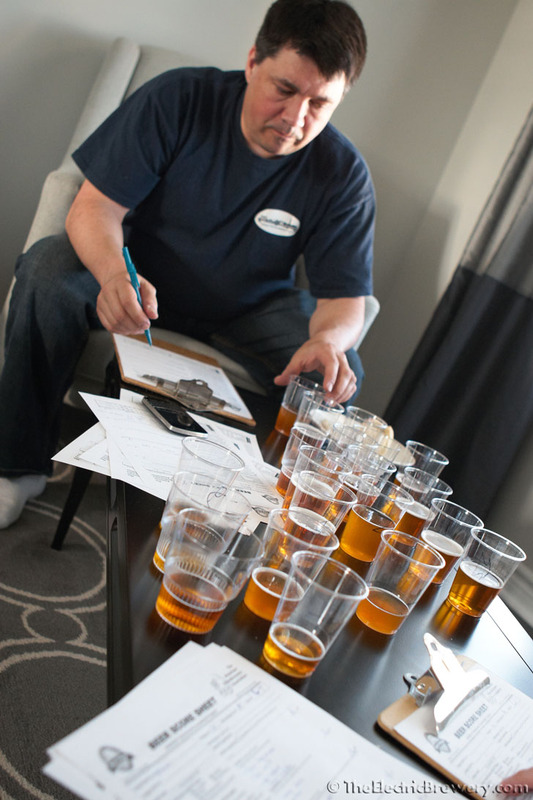 As it turns out, out of the 11 blind samples I tried (as a brewer I was part of the 'peoples choice'), mine was the hoppiest. After trying all 11 I was able to pick mine out without difficulties. I found it had the most hop flavour but was surprisingly low in hop aroma given the amount of post boil kettle hops and dry hops used. I'm not sure why. I would have expected more hop aroma. I think next time I'll try lowering the amount of hops at flameout to about 1/2 and add some first wort hops instead. I may also brew it as an IPA (higher ABV). There's still room for lots of experimentation. There were a few others that were fairly hoppy too in terms of flavour but used decidedly less late boil hops. It may be that I hit a brick wall in terms of hop flavours with only a few ounces and that after a certain point adding more wasn't doing much more. 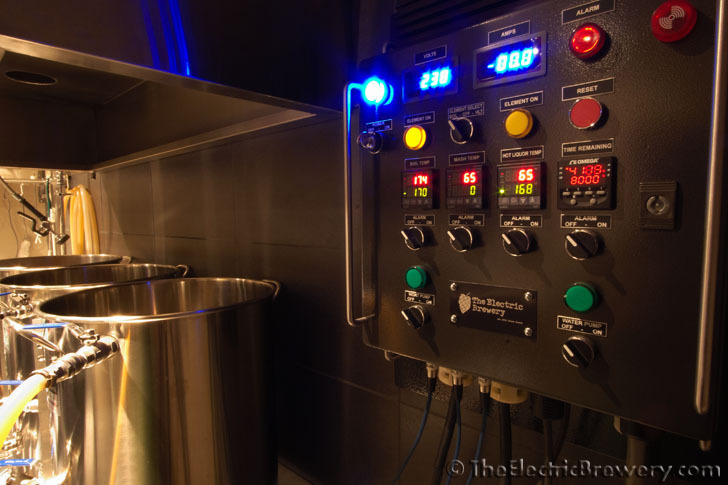 There are a lot of variables at play including steeping temperature, steep time, and even the type of hop (as different hops have different oils that isomerize at different temperatures). The beer tasted 'greener' (grassy) longer than most similar beers. It took a good month before this faded into the background. This is not surprising given the amount of vegetal matter (hops) that were used. I definitely like the resulting beer and my fears of it being not bitter enough are completely unfounded. Compared to the other competition beers (and the 30 IBU commercial beer used as the 'calibration'), mine is definitely more bitter too, but not overly bitter. I've had a few more pints of since the competition and find that it's not a beer to be drunk even slightly warm. It needs to be very cold (35-38F) with low carbonation. It's extremely thirst quenching when served this way and the hop bitterness and flavours work well. If anyone does similar tests to these please post your results. I'd be very curious to read them. *The samples were all marked anonymously with letters. 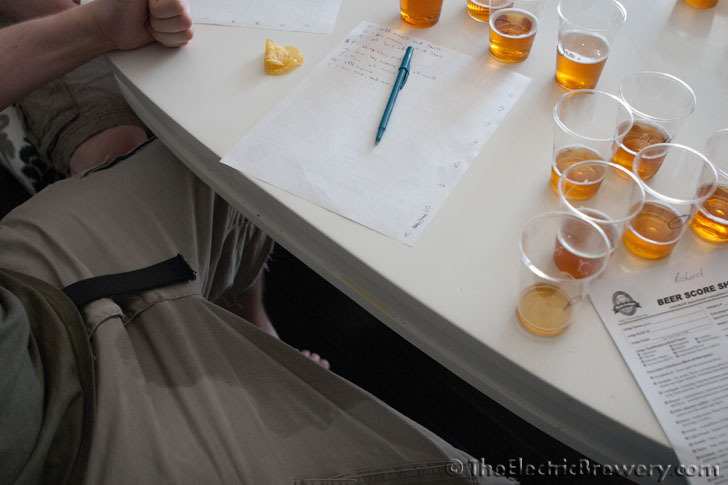 This brewer managed to spill the sample labelled "P" on himself, effectively "P-ing" himself. Hilarity ensued. This looks like a great recipe. I'm brewing this week, so will use this, but change it up as you are thinking by using FWH, late addition, and dry. The LHA at 1 minute to tame some of the grassy flavors. I am set up for 5-6 gallon batches so will use around 6 to 7 ounces of hops. Of the two yeasts you used, which one accented the hops and less malt? Of the two yeasts you used, which one accented the hops and less malt? 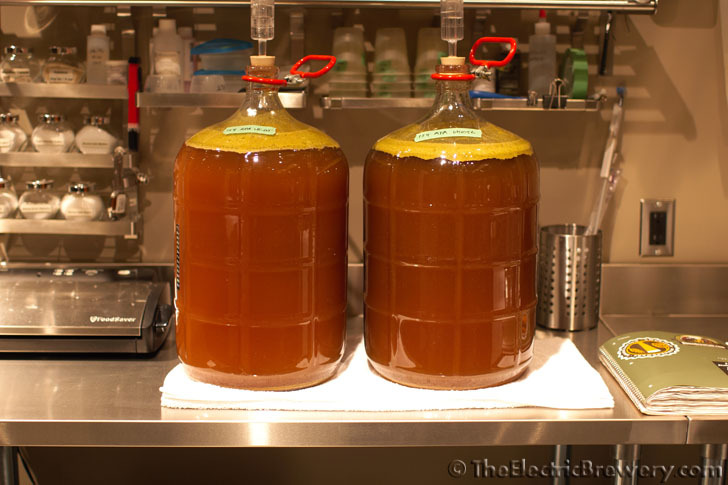 I found WY1056 (liquid), and US-05 (dry) to be identical after having kegged and conditioned a month. I stick with US-05 as it's easier to manage and less expensive. I still have to confirm 100% with WLP001 as well (same strain, likely identical). What steel bowl is that? Shiny! 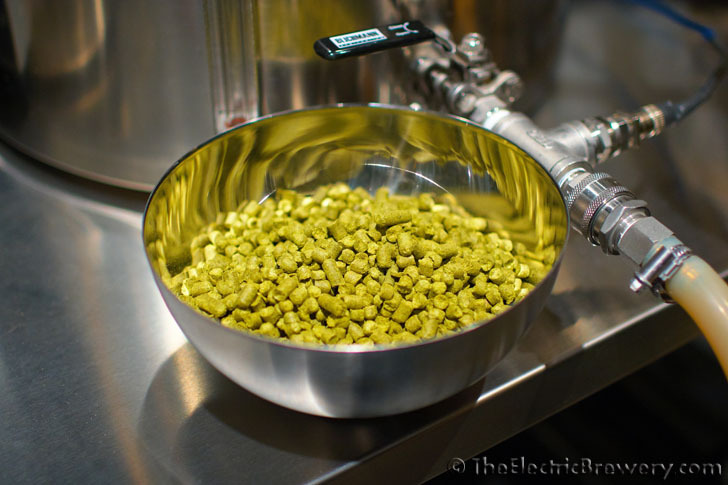 The bowl with the hops in it? I believe it was from Ikea. I believe so (not sure). I remember that they come in various sizes. Kal, Do you have any further experience with hop stands? Do you think they are better at maximizing hop character than other methods? Lately, I've been wondering what is the best practice to maximize hop character. 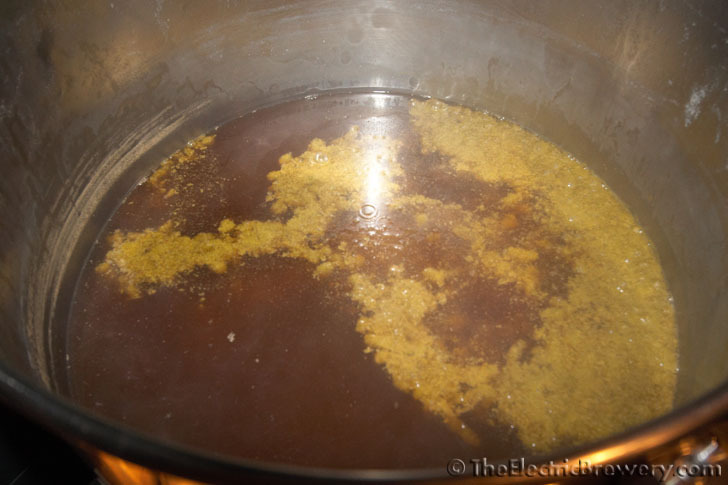 Is there a magical time to add the hops at the end of the boil? 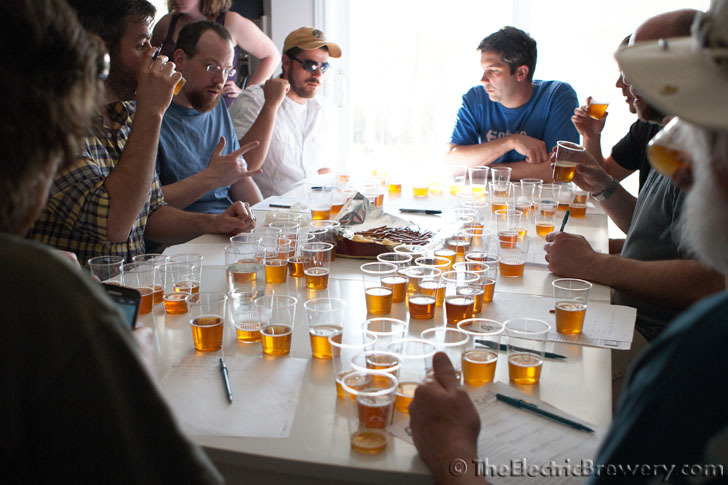 Maybe the taste buds become overwhelmed with hoppiness, and it all balances out at some point? Also, the quality of the hops has to be super important as well. 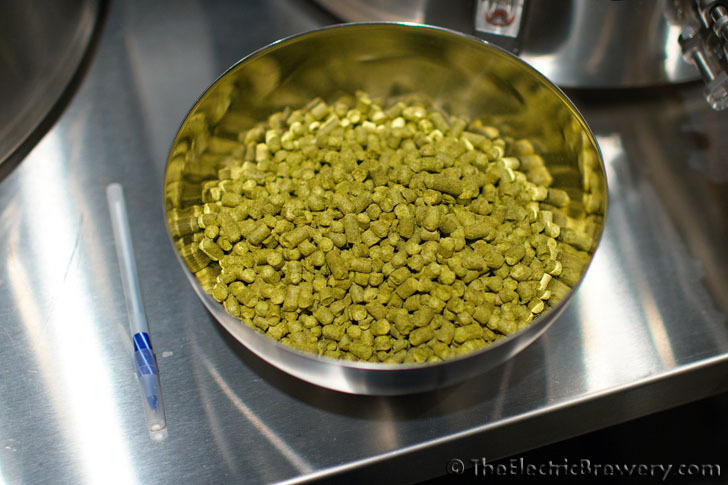 I KNOW that dry hopping is critical to getting that super rich resiny hop character from experience. 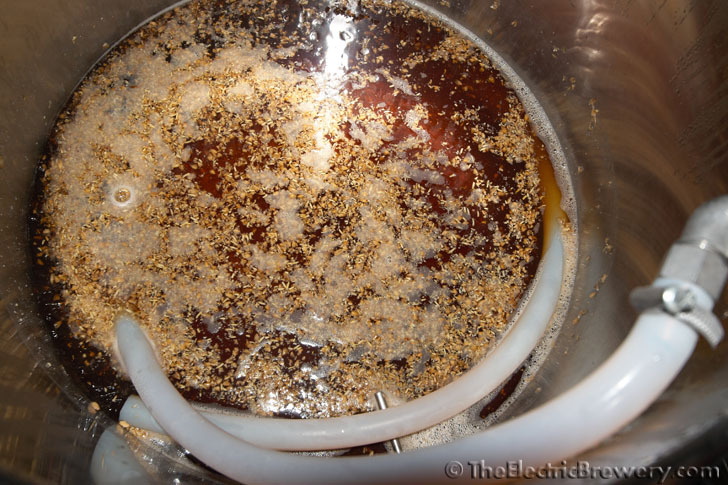 Have you tried just doing a dry-hop bomb beer without much in the way of boil hops? I haven't done a ton of experimentation with hop stands - most of my beers in the last year have been repeats of existing recipes and a few new clones that didn't call for stands. Not sure there's any magical "do this one thing and it'll be best" solution. I found your whole adventure to be very interesting. Thanks. I was wondering. 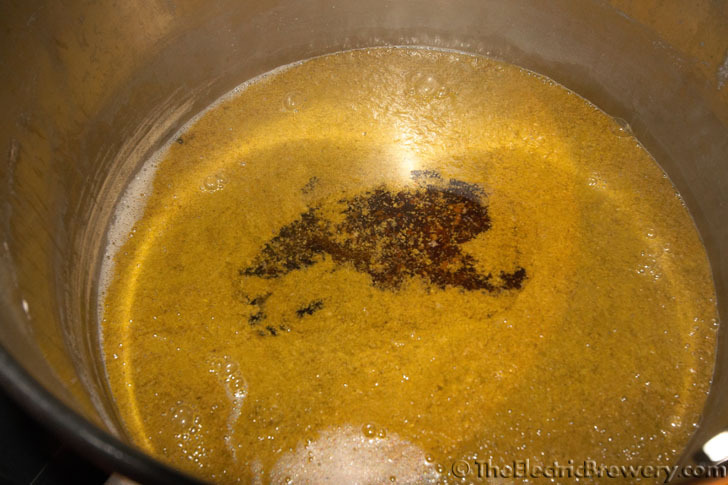 Since hop oil isomerization is almost zero below 175F, why not take care of the bittering with a small hop addition during the boil so the IBU's can be easily calculated. 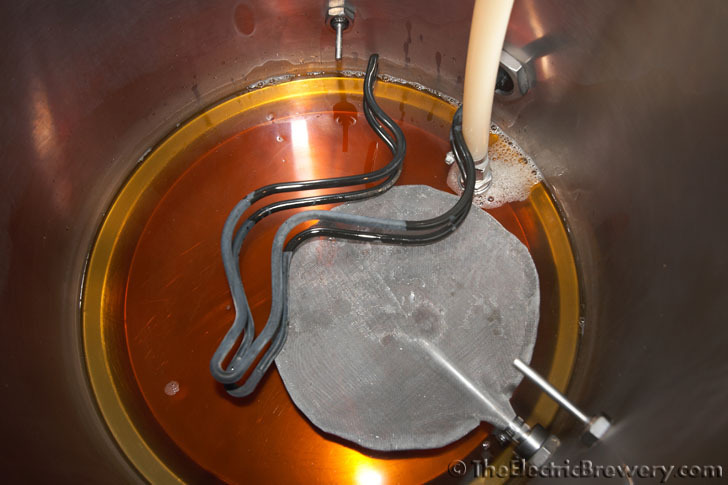 Then cool the wort to 175, add the hopstand/whirlpool hops and hold the 175 for the duration of the stand? Any additional bittering should be minimal and you could still enjoy the flavor/aroma benefits. That's not the experiment I wanted to try, but that's certainly an interesting experiment you could do. If you try it, please let us know the results.